One year ago I made my first blog post on my old blog (http://cheapcanuck.wordpress.com) and a few days later on May 16th Mike made his first post on Four Pillars. Since then, we’ve merged our blogs, written a number of book reviews, and posted extensively about retirement planning, real estate investing, asset allocation and dividend investing. We’ve generated controversy, made some friends in the personal finance blogosphere, and even got a chance to meet Bill Gates! Life always changes, often for the better. 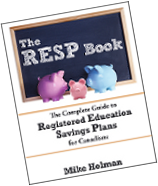 We’re proud of the series that we’ve published, including Mike’s popular Baby Expenses, RESP (which I keep trying to get him to turn into an eBook), and leveraged investing. I’ve posted an overview of buying my investment condo, and the factors that make up the return from a rental property. Comments and RSS numbers are the coin bloggers get paid in, so we’ve been delighted at the wonderful group of people who have been joining us on a daily basis and responding to our musings on financial topics. They say teachers learn from their students, and it’s certainly been true for me that bloggers learn from their commenters. While we’re in a reflective mood, we’d love to welcome any ideas for what types of posts you’d like to see more of in the future, or any new types that you’d like us to add to the mix. Please comment on this post or e-mail us. Happy Birthday! Soon you’ll be out of diapers and walking and talking! Keep up the good work. Happy Birthday Quest for Four Pillars!! 1 year already. Congrats guys! It is amazing what this blog has accomplished in one year. 604 readers, and included in the recent G&M article to say the least. Congrats, something to be proud of here! Here’s to many more birthday celebrations. Happy b-day guys. When you stop beating Bill Gates with the work stick, you should get him to guest blog! Happy Birthday guys! Keep up the great work and congratulations on the rapid growth. Thanks everyone – it has been a very enjoyable experience! Congratulations guys! One year is quite a milestone. I wonder how many blogs don’t make it that far? Many happy returns, lads. This is definitely one of the best and most enjoyable moneyblogs I’ve found. Long may you continue to find the unique content and maintain the friendly tone. I guess all the supermodels live in glamorous Waterloo, WDAMMG. Congrats guys and Happy Birthday! Wow, great job on the Globe and Mail too! Happy Birthday Mike and Mr. Cheap! Congratulations on your growth and your success…but most of all thank you for building an awesome community. Congrats! Thanks for being a great resource! One year is quite a milestone. I wonder how many blogs don�t make it that far? In terms of ideas for the future, I especially like articles with Canadian content because most personal finance blogs are American and I’m not always sure what applies to me and what doesn’t. For example, I think interest on mortgages is tax deductible in the States but not here? Also, different terms or programs (RRSP, etc. ), the impact of governmental decisions, different shopping opportunities, etc. Monica: We do get a lot of readers from outside of Canada, but you’re absolutely right that we need to keep the Canadian in the Canadian personal finance blog. Thanks!